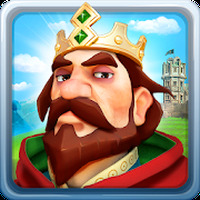 "Protect your kingdom from enemy attacks"
Game Goal: Fight to conquer enemy territory and thus, expand your empire! How to Play: In this strategy game with MMO elements, you need to attack the empire built by other players. This means that your empire is also vulnerable to attack. By completing missions, you can earn gold and use it to expand your territory. Game Options: Despite offering the multiplayer mode, you can not play in real time. Graphics: The scenery is varied, displaying different maps and a kingdom, with castles, houses, and other elements. The graphics, though simple, are rich in color and detail. 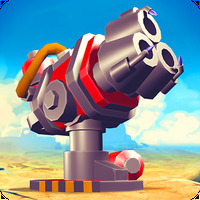 Controls: Tap the screen to attack the enemy troops and build the empire. Developer: Goodgame Studios is based in Germany	- High-ranked developer. Installation requirements: A minimum of 84M of free memory space and Android OS which Varies with device. 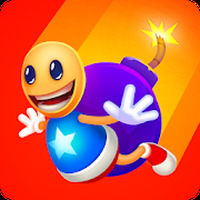 Ranking: The TOP 10 Most downloaded games in Battle Games category. Appealing design and fun graphics. A lot of upgrades need to be purchased. Errors may occur causing the player to lose achieved progress in the game. Do you like Empire: Four Kingdoms?